Make a wish, touch the sky. 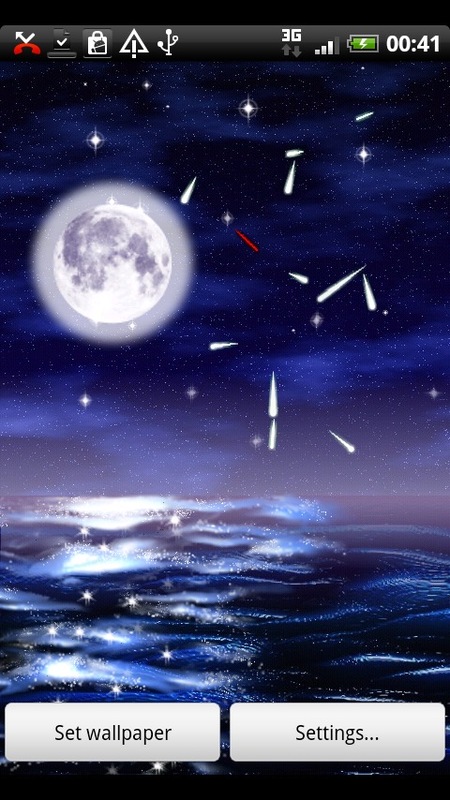 Get the red shooting star, your wish will come true! 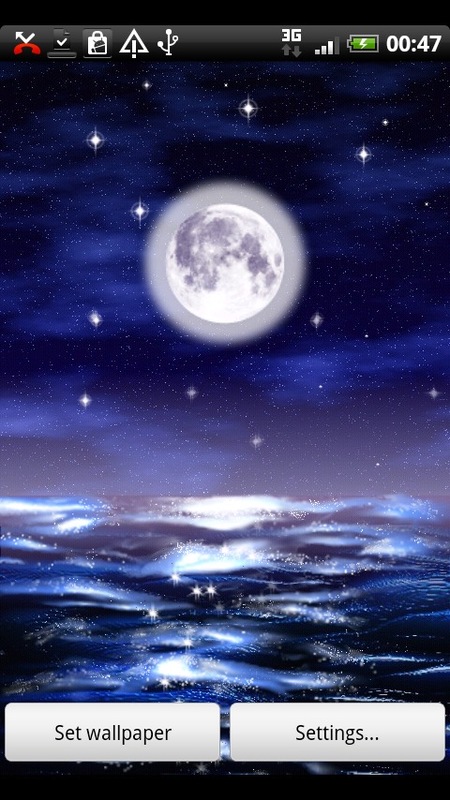 Watch your night sky wallpaper: a slight sea enlightened by a full moon. Make a wish and touch the sky. 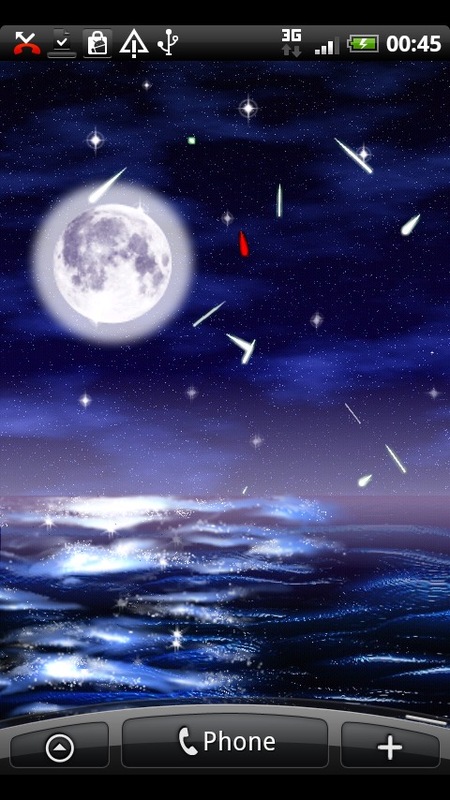 If you keep the red shooting star, your wish will come true! TO USE AND/OR OPEN IT: Home->Menu->Wallpapers->Live Wallpapers If you cannot see the Live WallPapers section, your phone doesn't support the Live WallPapers. === IMPORTANT NOTE === If you move this app to SD card, it could fail to auto start during the phone reboot, so you need to set it again. This behaviour could happen to all live wallpaper apps and depends on the phone type.